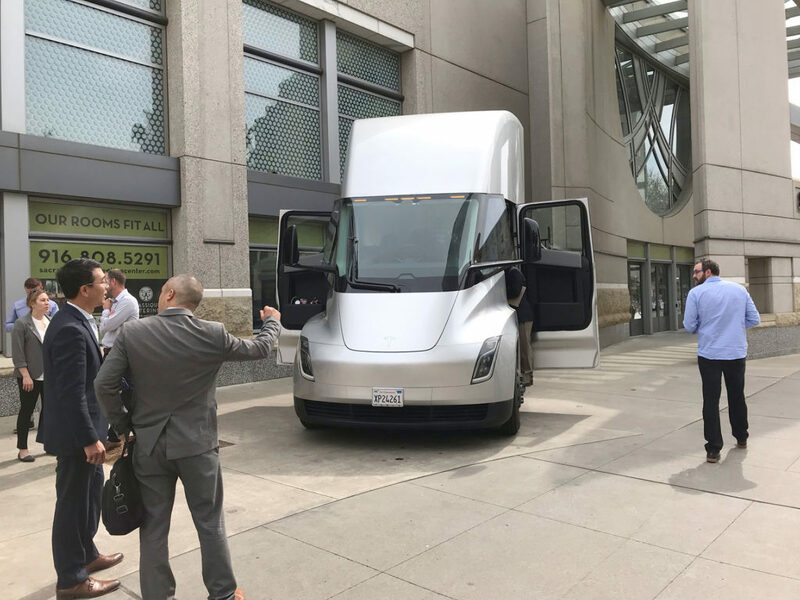 Tesla Semi Truck was on display at the 13th & K Street, Sacramento, CA last Wednesday and probably the next day as well. 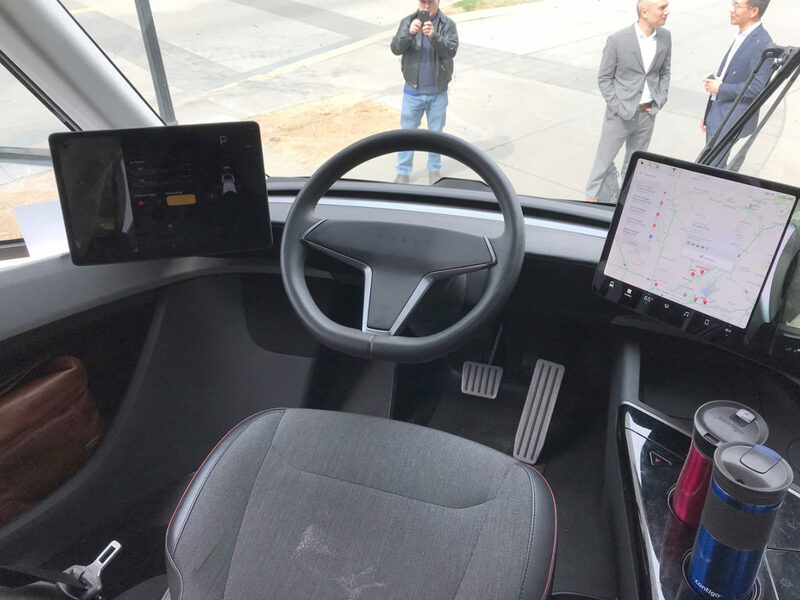 Redditor u/rygel_fievel was able to take some photos of the interior of Tesla’s electric semi, a rare happening of course (photo gallery below). 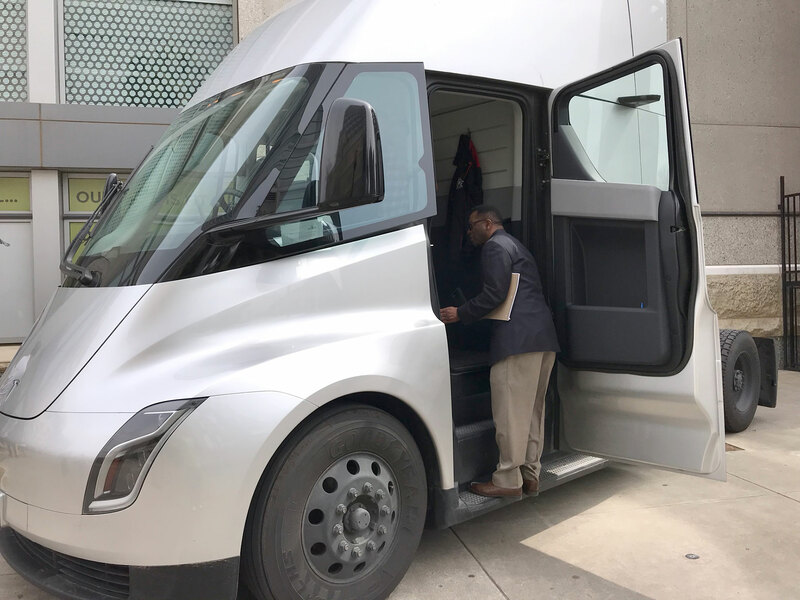 The last time we saw the interior of the Tesla Semi was almost a year ago where Andrew Black took a short video of the inside of the cabin of the same test-mule while it was at a Supercharger station during its journey. He said the semi would go back to Bay Area when leaving this afternoon. Front windshield had lots of bugs so there was no effort to detail the car as can be seen with the stain on seats and cup holders that had a bunch of scratches due to it being piano black. Asked if it had AP and he said hardware was there. Noticed the AP camera was covered in tape too. 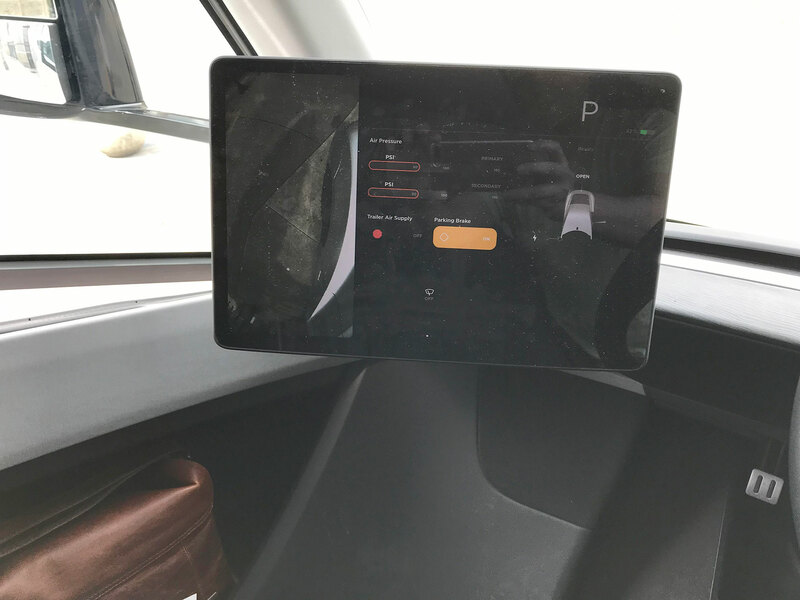 In the above interior photos, we can see that the dual touchscreens are most probably the same 15″ used in the Tesla Model 3 Sedan and Tesla Model Y CUV — the screens might change in the production version, maybe the shape and size for better user experience. According to a previous video spotting, the Tesla Semi prototypes have a total of 26 cameras as part of the Autopilot hardware, the Tesla staff did not clearly say that the truck is able to use Autopilot features or not. 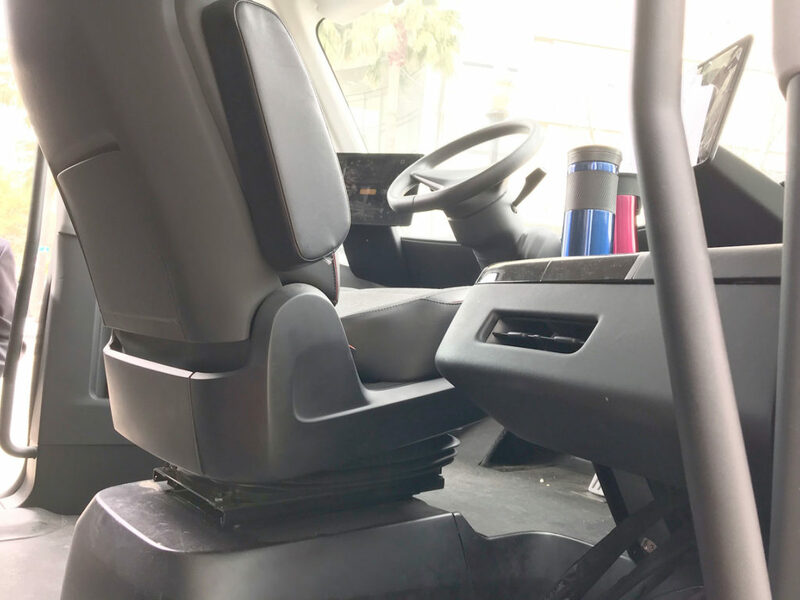 The newer view in the interior pictures is the driver’s seat that we had never seen before, the interior of the test-mule Tesla Semi trucks is following the minimalistic design approach that Tesla is implementing in its new vehicle lineup. 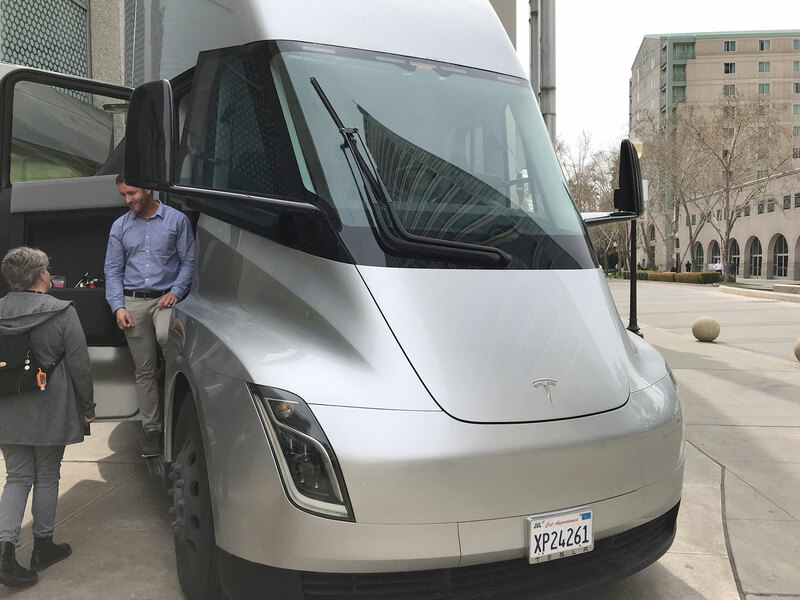 Follow us on Flipboard / Twitter for constant news about Tesla and Electric Vehicles, don’t forget to pour your thoughts in the comments section below.